I particularly liked the slightly grippy feel that the polycarbonate rod stock seemed to have. 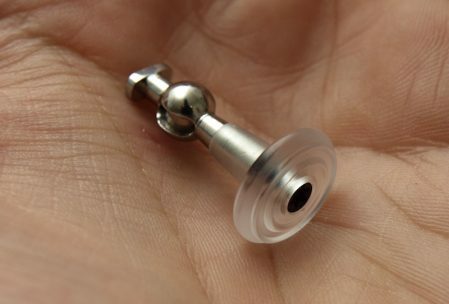 Very similar to the material that the OEM sticks are made from. This wasn’t the first time I had experimented with an all plastic cap. I made some solid plastic caps from black Acetal (aka Delrin) in the past, a material that machines like a dream and is generally a good, versatile material to work with. Unfortunately it’s properties as a low friction material also make it rather slippery under the thumb. I still use Acetal to manufacture the rubber cap cores but it’s too slippery to use on it’s own like this. 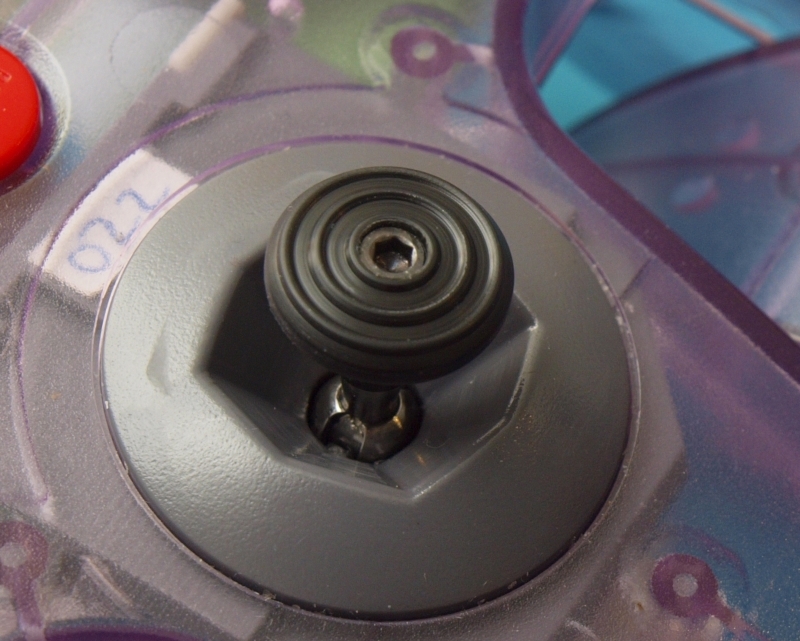 Version 1 of the PC caps were a close copy of the OEM style cap with concentric grooves and a smooth edge. The thumb feel of polycarbonate is quite impressive in this form and the grip is really good for a non-rubberized cap. Looks really cool too, but I think we can take this a bit further. 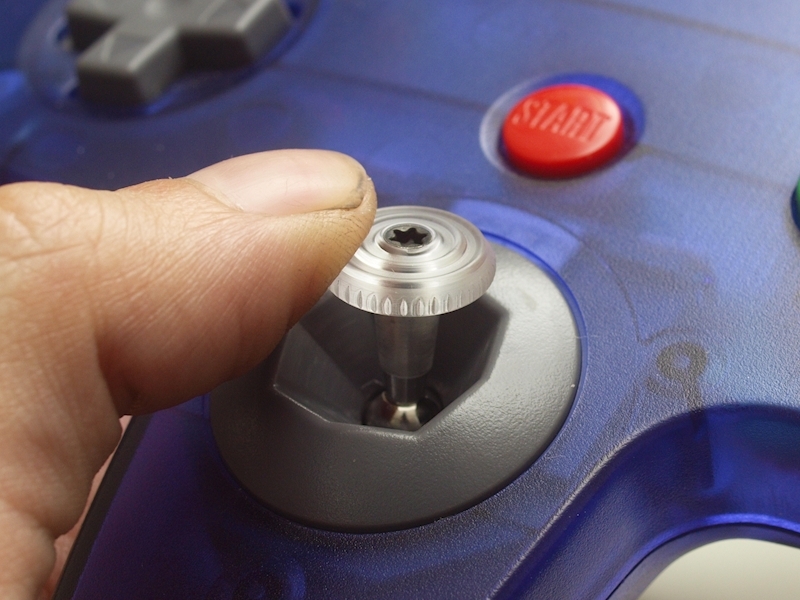 The general level of grip on the outside of the thumb cap still bothered me (as it does with the original cap from Nintendo). So for the next iteration I decided to try some patterning on the edge. Much better! 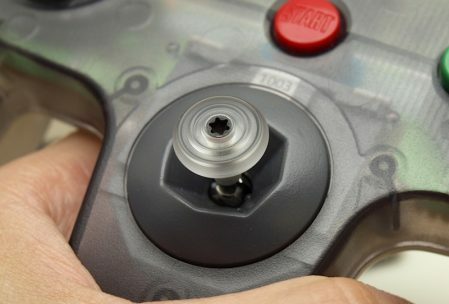 I’m spoiled by the extra grip offered by the rubberized cap variants so going back to OEM plastic is tough for me, far too slippery. This has worked well for me in testing, giving me just a bit more confidence when the thumb slides down to the sides of the cap. A concern I have with this design is that the hard plastic and patterning may be more prone to causing blisters but that may be the cost of extra grip in this case. 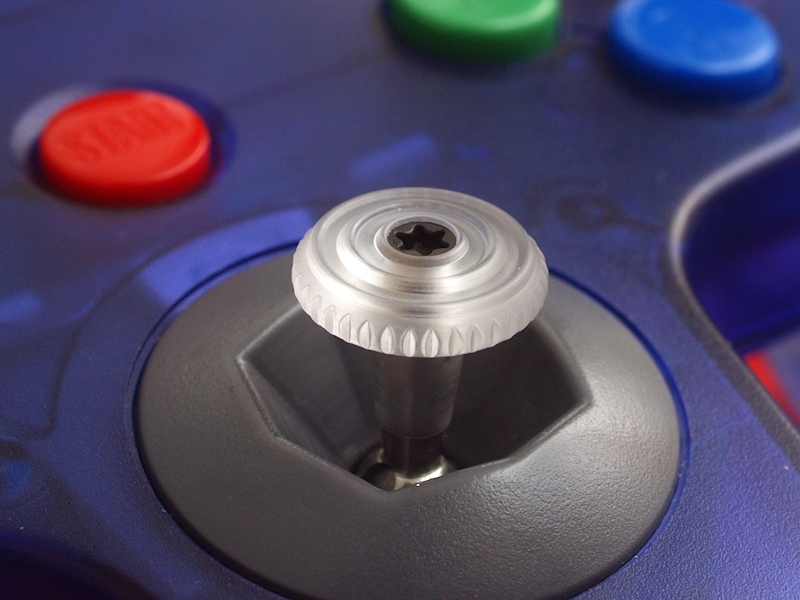 The refurbished gray OEM cap will still be included with each stick as standard. For those who want a simple (and indestructible) option that still has a bit more bite, I think the PC cap may well be a good choice. Look foward to getting a few of these out there and hearing the response.